For those looking to save time in the morning, a Spanish furniture maker called OHEA is starting to sell a “Smart Bed” that basically makes itself in the morning when automatic mode is turned on. Three seconds after the last person gets out of the bed, a panel on each side of the bed swings open and a a mechanical arm extends on each side. Attached to the top of the mechanical arm, a set of smooth rollers essentially grab each side of the blanket before starting to slowly move from the foot to the head of the bed. At the same time, the pillows at the head of the bed rise on another panel to make room for the moving arms. The pillows are also straightened using attached cords on either side of the bed. Once the arms fully straighten out the blanket, the arms drop back into the bed’s housing while the pillows are dropped into starting position as well. The side panels close and the bed is ready for the next person that wants to take a nap. The entire bed-making process takes about 50 seconds from start to finish. According to company officials at OHEA, it’s impossible for the bed to start functioning on accident while a person is sleeping. It’s also impossible to manually trigger the bed-making mode while someone is on the mattress. It’s likely that the company uses some sort of weight sensor underneath the mattress to prevent the bed-making mode from turning on. 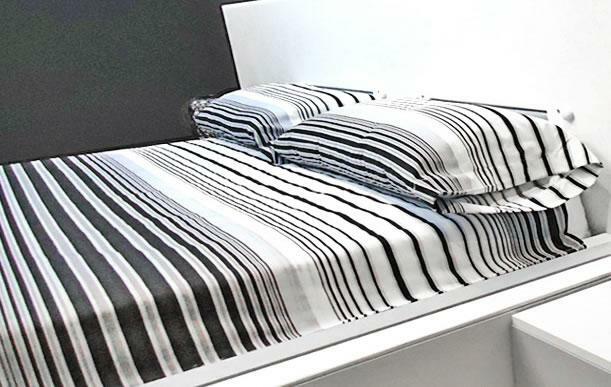 A couple caveats to the bed’s design is that an owner can’t use third party bedding and it doesn’t appear to accommodate a second top sheet between the main blanket and the bottom sheet. That sheet is attached to the mattress with a Velcro strip. If a user prefers to use manual mode over automatic, OHEA includes a remote control that will activate the bed-making process. Starting this month, OHEA will sell five different sizes of the “Smart Bed” and claims that it won’t increase an electric bill dramatically since it likely operates for less than one minute per day in most households.